From its best pies to sending a holiday card to a friend or family member, Mrs. Smith is always there for you. I am one busy mom and for the first time I did not send holiday cards to my family friends via mail but it does not mean that I totally forgot about them. I admit I was a little which is not an excuse at all so I look for a website where I can send holiday cards to my loved ones the fastest way. I found Mrs. Smith microsite. It so easy to send your holiday message to family and friends. This is the best feature I really like. All you have to do is enter your name, recipient's name, recipient's name and email plus your message. That's it! Click submit and your holiday e-card is on its way. Do not worry even if you have a lot of friends, you can send the e-cards up to 50 people using their beautiful holiday designs. Try this Mrs. Smith microsite yourself and I am sure you will love it. 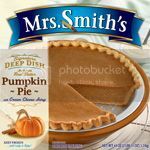 I have been a fan of Mrs. Smith’s pies. In fact, I still have a pie in my refrigerator. I bought several of them for giveaways to friends and my favorites are Mrs. Smith's Pumpkin, Peach, Coconut and Sweet Potato pies. I feel good every time I buy Mrs. Smith's pies because they give $1 donation to Operation Homefront for every pie sold in November and December. Mrs. Smith's will also provide pies to them for Thanksgiving. Thank you Mrs. Smith for making our holidays yummy and meaningful. This is a Sponsored post written by me on behalf of Truvia® Natural Sweetener for SocialSpark. All opinions are 100% mine. Lately, I and the daughter have been doing a lot of work in the kitchen. It started when I told her that she is my kitchen helper. She loved the idea. We started with baking ready to bake goodies like cakes and cookies until it became not just a bonding time with mom and daughter but on special occasions my daughter wants to bring some to any family gathering we go to. We have been baking so often now that it worries me about our calories and sugar intake. Of course, this is because we don’t just bake but we eat what we bake too. Directions: Mix all the ingredients while you preheat the oven to 325 Fahrenheit. Place baking chocolate, butter and canola oil in a large microwavable bowl. Heat for 30 seconds and stir. Repeat and stir to melt the chocolate. Whisk together the eggs, Truvia® natural sweetener, sugar, salt, vanilla and milk in a separate small bowl. Add the egg mixture to the chocolate mixture and stir. After sifting the all-purpose flour, fold it into the chocolate mixture using a rubber scraper. Do not over mix. Pour batter into a square pan and bake for 22-25 minutes. Do not over bake. Remove from the oven and place on a cooling rack for at least 20 minutes. Truvia® Baking Blend, designed for easy, at-home baking, is a blend of Truvia® natural sweetener and sugar. It provides sugar-like taste and texture in recipes but with 75% fewer calories and twice the amount of sweetness than sugar. Only 1.5 pound bag of Truvia® Baking Blend has the equivalent sweetness of 3 pounds of sugar, which is approximately 7 cups, enough to make 13 pies, 9 batches of cookies or batches of brownies. You can buy them at retail stores nationwide in a 1.5 pound bag with a closeable, easy to use pout spout. 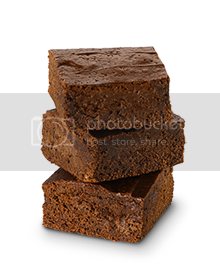 Now that I have shared with this brownies recipe, do you have your own to share and we can re-create it by using Truvia®. I would appreciate it if you can leave a comment on my blog. For more information and recipes, please Visit the Truvia® website for more tips and information on Truvia® Baking Blend.